Sample, send, analyse… intervene ahead of diagnostics, that is your job. Ours is to guarantee that traceability is ensured, that handling is easy, and that internal processes are respected. Above all, the safety of samples as well as that of the people handling them is our utmost priority. With large groups of laboratories and hospitals – who are now our customers – we have developed the Novalab range meeting the requirements set by the ISO 15189 accreditation and the UN 3373 packaging instruction. Because we are also conscious of the fact that each laboratory has its own requirements, we have pushed our customisation capabilities to the maximum. For the safety of all health care operators, from sampling to analysis, our pouches are watertight and undergo strict quality control. Our pouches are identifiable, they can be marked with sequential numbers , bar codes or QR codes. Moreover, they can come with detachable receipts for archiving. 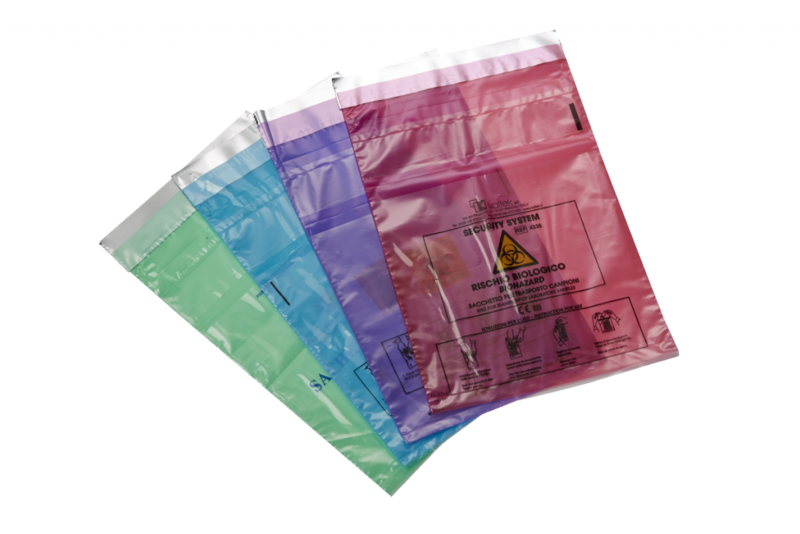 Our pouches may have an external re-sealable double pouch in order to insert documents related to the patient.